The word we focused on at the Wonder retreat this year was “qavah”. It’s a Hebrew word that means to wait, look for, hope, expect, to linger, to collect, bind together a “line” or “cord,” a collection of fibers that are twisted together to make a strong and firm cord. This same word is also used for the abstract idea of “hope,” a strong and firm mind. And so we gathered at the top of a mountain and we lingered. We found rest in the beauty of the nature around us, in laughter and friendship, in the silence of a still morning at the top of a mountain, in the majesty of a clear night sky and all the stars, in a rainstorm that brought fresh wind and bright lightening, in a Texas sunrise painted by God Himself, in worship and reflection, and in the sharing of our stories with our sisters. We also found it in shared meals, coffee, queso, and cake. My revelation this weekend was that it is okay to be okay. I realized that in the past few months I’ve been looking for something to be wrong. I’ve always lived in chaos. I’ve spent more time looking for a problem than looking for Jesus; I thought that certainly there must be a problem somewhere. So I kept deciding the problem was me because I couldn’t find one in my life. “What is wrong with me, God?” I journaled this weekend. And so, at Wonder Weekend, I left behind my false belief that there must be something wrong with me. It’s really hard for me rest in being okay, to know that there doesn’t always have to be chaos or problems. Speaking with wise sisters this weekend, I came to understand that my past and survivor’s guilt leave me feeling uneasy with being okay, especially knowing so many others are hurting. Right now I’m doing really well, and I have to learn to press into that and be grateful for all He brought me through and all He’s doing now. In 2016 there was so much chaos in my life. I was dying inside and out. I went to a Christian woman’s retreat that year too. Absolutely everything in my life changed after the November 2016 Splendid retreat. It wasn’t easy or fun or expected, but it was needed for my survival and for my relationship with Christ. I had to let go, surrender, wait, and be willing to be stretched. Stretching hurts, but that’s how you grow. My journey these past 2.5 years has been scary, ugly, beautiful, painful, exciting, sad, joyful, freeing, healing, restoring, riddled with anxiety, and filled with love. Every bit was worth it. I am okay. I am happy. I am healthy. I am no longer just surviving, I am thriving. I am excited to see what He has planned for me next. I am walking into His best for me. Me watching the sunrise at Mo-Ranch in Hunt, Texas. Photo by my friend, Pauline. God is moving in big ways in my life, and because I can’t see the end, the purpose, the “why” of it all, some days it is so hard. I’ve always said I have Big Faith. Friends tell me that I’ve overcome so much in my life, and I have. I have walked through and conquered huge fearful things, especially in the past few years. But the enemy doesn’t stop attacking just because you beat him once. 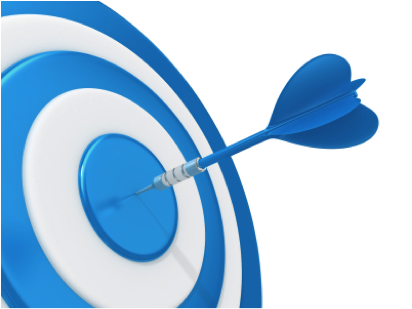 If you wake up every day seeking after the Lord, consider yourself targeted. As a follower of Jesus I have a huge target on my back and the devil wants to take me down. I learned yesterday that fear can come when you least expect it, especially when everything is going so well. I was sitting in the rain of favor and overflow, and the devil didn’t like it one bit. So he attacked. When I woke up yesterday, I prayed about a situation and felt good that God had it all under control. Of course He did, right? He always does. Even so, I asked for confirmation. I put into practice something I think a lot of us do. Something I learned from a Pastor that has brought me confirmation before. I held onto my closed Bible and I prayed that when I opened my Bible and pointed to a scripture, it would confirm for me what I was specifically praying about. So, with eyes closed, I opened my Bible and pointed to the page. Imagine my surprise when my finger landed exactly on John 5:39. I laughed out loud. I had my confirmation. The Holy Spirit was saying “you already know God’s got this, you don’t need confirmation, keep your focus on Jesus”. Big faith. As the day progressed, that big faith of mine was tested. The enemy came at me hard; he knows my weaknesses. Some thought I was crazy for having so much faith and putting it all in God’s hands. And when “it” didn’t happen the way I thought it would, when I thought it would, the enemy used that and ran rampant through my thoughts with doubt. I recognized it as an attack of fear, and it was so powerful. To combat it, I used all the weapons in my arsenal. I prayed, worshiped with music, read my favorite go-to Psalms, and got on my knees crying out to the Lord to ease my suffering. But suffering has a purpose; it grows me, stretches my faith. Even with all the fight I could muster, fear derailed my faith yesterday for just a little while. I knew I had to stop giving into fear, but how? I couldn’t ride the faith train and the fear train at the same time. I listened to doubt and fear and said things that were so not like me; even I was surprised when I said them. Repeating the enemy’s lies out loud gives him power. This had to stop. Yesterday was not a pass or fail test. It was a test of faith and learning; did I learn something? About me? About God? I did. And my faith is all the bigger for it. I keep coming back to James 1:2-4. I learned a big lesson yesterday. I learned that “God’s got this”, no matter what. All my doubt was so unnecessary because He was there the whole time working things for my good. I’d spent the whole day wallowing in doubt and frustration, and all the while God was still doing what He does – preparing a place for me. He was still on track with His plan for my life, still faithful, still loving me, even in my anger and doubt. God doesn’t change. Keep praising Him in the storm, friends. Praise Him when it’s hard, praise Him when you don’t feel like it, praise Him when it seems pointless, because praise is never pointless. Hold fast to your faith. Have big “now faith”. That means right now, in every moment, even the hard ones. There’s no comma between the words “now” and “faith” in that verse. It doesn’t say “Now, faith is …”, it says “Now faith is ….”. Right now. Even when you cannot see. Remain confident. Rest assured. Hold onto hope in Jesus. When the clouds clear you will be amazed at what you see. Hi, it’s me, I’m still here. I’ve been journaling in paper journals since summertime. 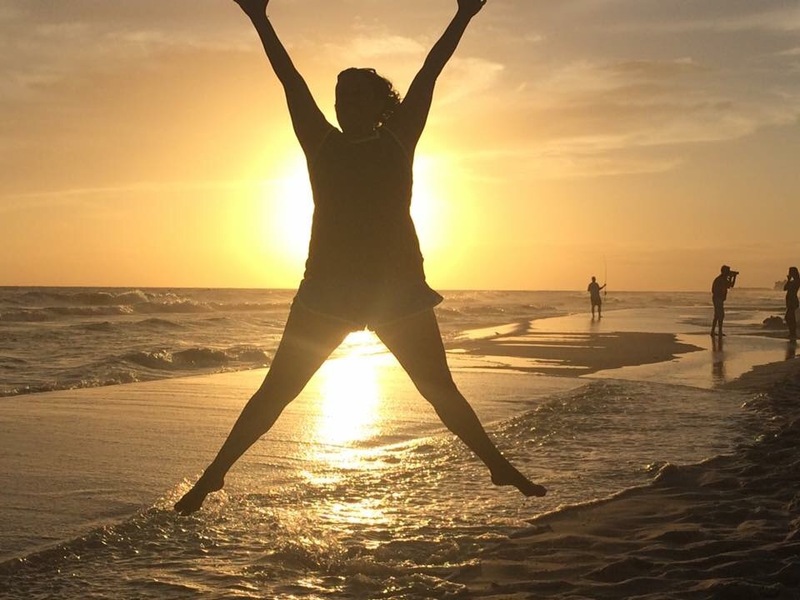 I was working through a lot of life changes and honestly did not have the wherewithal to type it all out in this blog, nor was I ready for everyone to read all about this part of my journey. I found my journals and read through them. I’m not quite sure what to write about yet because the past six months have been such an amazing, refining, difficult, and fulfilling journey for me. A journey of surrender, pain, discovery, and restoration. My journals contain a lot of Scripture, a few letters that I wrote to myself from God reminding me who I am (His daughter), and so many words that are really hard to read about how I was feeling and what I was thinking at the time. Many pages are crossed out with the word “LIES” written across them. I realized that I was writing down lies about myself because as I went through this trial I learned more and more about what God says about me. I learned the truth. I want to tell you all about the journey I’ve been through in the past six months. I want to share about hardships overcome and friendships made; about sickness and brokenness, and faithfulness, God’s and mine. This coming Sunday, November 5th, I will be six months free from my drug addiction. That is a huge milestone and I’m very proud about that. On that day at church I’ll be getting re-baptized. I was baptized when I first came to Christ five years ago because I thought that’s what I was supposed to do – and that’s not wrong, that’s okay. But now I want to do it because I’m more aware of who I am in Christ. I agree with my friend that baptism should be about you and Jesus and not a work that’s done to prove something. When you decide to acknowledge a hard thing that, until today, you didn’t realize had been stuffed so deep down inside for so long, but it comes bubbling to the surface and makes your eyes all watery; when you decide to do this hard thing, go ahead and crank up the worship music and dance before you do it. Praise and dance and sing; pray thanksgiving to God for going in before you, coming along side you, and going in with you. Because this is no cakewalk. You are going to be hugging the fireball, which is exactly what you need to do for God to refine you; burning out the old and making space for the new. Photo taken by Holly Waugh. Today is Monday. Most of you woke up early, maybe wishing it was still the weekend, bribing kids to get out of bed, and hurrying off to school or work. I have a different sort of purpose today. I’m in the process of healing. In past posts I’ve mentioned the abusive relationship I was in and the drug abuse. It wasn’t just my husband who was abusing drugs, I was too. For years I’d been getting treatment for my addiction from a specialist. I’ve decided it’s time to stop taking the medication that treats my addiction, not to take another drug, and to take on the big bad wolf, quitting altogether and getting healthy. My doctor agrees it’s time. Which means I’m in the business of trusting God. I could not do this without God’s help. I know that because I’ve tried many times and failed for over 20 years. This time it’s different. This time I have Jesus by my side, the Holy Spirit in my heart, and God coming for me. I may have been wounded by emotional, physical, and drug abuse, but the wound is not fatal and I serve the greatest healer of all, God. Trusting God is not always easy. If you don’t know God, imagine trusting someone that you cannot see and surrendering your entire life to Him. Then waiting to see what happens on His time, not yours. During this process, I have to be honest with myself & God, confessing my sins. I have to be willing to surrender to His will for my life. I have to stop depending on myself, let go of the reins, and let Him lead me. I have to be able to be silent and still, listening for His instruction. Trusting God means going down the road less traveled when most people are going the other way; it’s usually not the way you wanted to go, or thought you were going, but it’s His way, the best way. It is not easy. Trusting God means trusting the people around you who He sent to help, and trusting that He always has your best interest at heart. I made the decision to break this chain about a month ago. Since then I’ve gone through many ups and downs, physically, emotionally and spiritually. I’m blessed because God has sent many people to help me, including my family, doctors, and my friends. My friends are integral to this process because they always remind me of my goal, which is to be free and to accept the freedom that Jesus bought for me on Calvary when he died on the cross for me. They are my spiritual supporters, my midnight cheerleaders, and mid day musketeers, coming to the rescue with words of encouragement via text messages and phone calls. A sweet picture or meaningful scripture; just a soft reminder of how important it is that I do this, to break this chain that has held me back and weighed me down for 20 years. The enemy cannot have hold of me anymore. My family and my doctor keep me in check, ensuring I do what I need to do. Things like eating well and checking my blood pressure. It sounds so simple, but when you’re in the thick of it, when you’re in the fog of war, a physical, emotional and spiritual war like this, it’s hard to remember what you’re supposed to do. If you cannot see the shoreline because the storm is raging all around you, you have to trust the people who love you. You have to trust they were sent by God. In four days, by the end of the week, when everyone is saying “TGIF” and making plans for the weekend, I will be celebrating a major milestone in my recovery. I don’t know if I will feel horrible or okay. It will take my body some time to heal. I’ve been abused, and abusing myself, for quite some time. I do know that God is going to take my brokenness and put me back together, better than ever, healthier, wiser, and stronger. 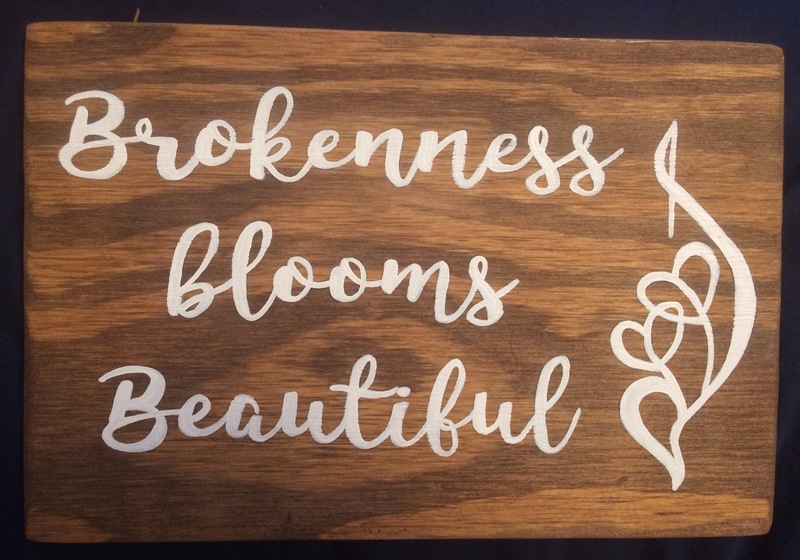 A friend of mine once said that “brokenness blooms beautiful”. All I have to do is hang in until He gets here. To wait on Him, for His perfect timing, to trust in that and to not waver in my faith. To have blind faith that keeps going no matter what. Even when I cannot see the shoreline through the storm. I’m scared because I have no idea how I’m going to feel and excited because I know that the healing process has started. My body will regulate back to normal over time, and I will start a new journey, whatever path the Lord has carved for me. Normal. Whatever that means. But I’m looking forward to finding out who Bree is. She’s been missing for quite some time. My Journey to recognize myself in Christ. “I will cast my cares on you” Lord (Cast My Cares by Finding Favour), as I start down this road to healing. You have given me such a sweet, straight path to follow. The air smells of honeysuckle and hope. The sun is bright but not hot. My heart is at peace with the decision I’ve made. My family, and those who care about me have come into agreement that this is the best thing for me; confirming, for me, that we have come into alignment with God’s plan. My friends (you know who you are), have agreed to pray for me and check on me, being the hands and feet of Jesus when I need them. Thank you Lord for this soft place to land after such a difficult decade. I made many bad decisions, and I’m so grateful for your never ending grace, mercy, forgiveness, faithfulness, and love. You, Lord, are faithful even when I am not. 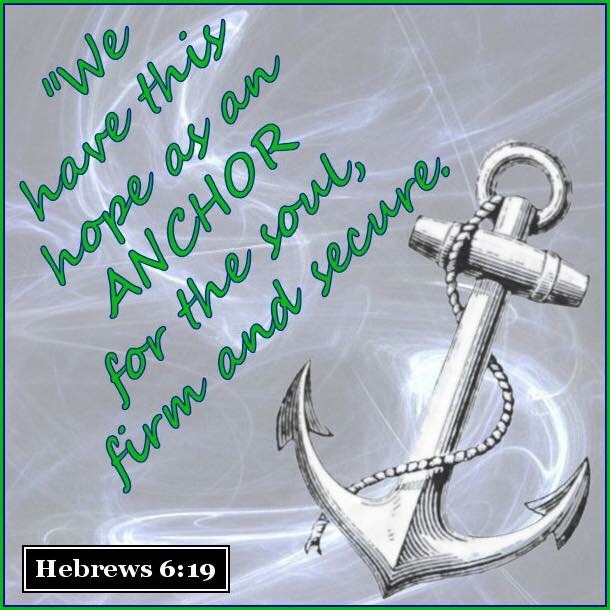 You are the anchor of my hope! You, Lord, are making all things new, and “You are making a miracle in me. When I see nothing but damaged goods, You see something good in the making. When I see wounded, You see mended.” (Mended by Matthew West). Sometimes I get scared, but when I turn that fear over to you, you give me strength instead. When I get anxious, you give me peace. I’m so grateful for my faith in Jesus Christ as I face these challenges and choices. I believe my faith will heal me. I believe that because God said it would. Looking forward to this time of healing, and abiding in Christ; listening for what God would have me do. 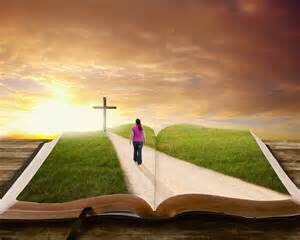 No matter what road I take, Jesus will always be with me. That is for sure, that is unchanging, that is a promise from God. 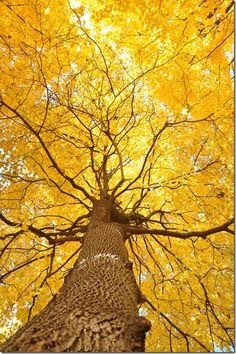 The trees have patience as they grow. Watching us run too and fro. Hunting, gathering, scattering like the wind, blowing by then back again. The trees have patience as they grow. Maybe they’ve got secrets I should know. The secrets to longevity, stillness, silence, majesty. Carole Anne Hallybur… on How do you qavah? Janene Eldred on How do you qavah? Anne Mackie Morelli on How do you qavah? Rebecca Galeskas on How do you qavah? Bree Martin on How do you qavah? Carolyn Martin on How do you qavah? Cheryl Moses on How do you qavah? Encouragement to live in God's sweet and empowering grace every day.